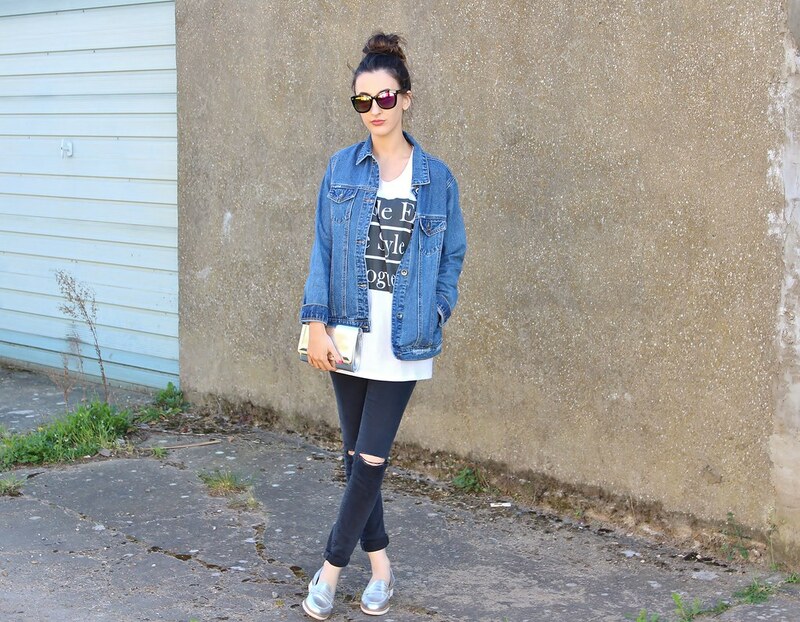 This outfit includes a few newbies to my wardrobe which I have been wearing constantly. The first being these Moda In Pelle Metallic loafers. 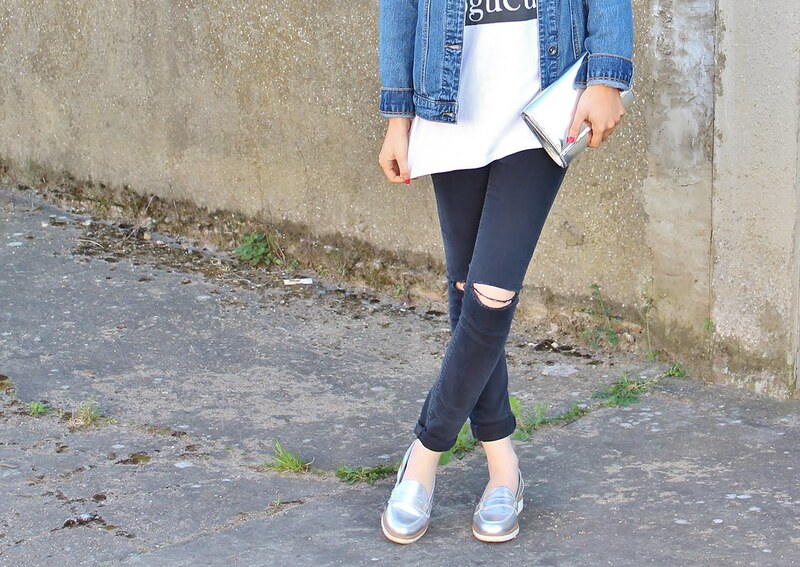 I think my blog makes it pretty obvious that I love a loafer and I also love metallics for this time of year so the two of these together means I fell in love with these pair. I have been wearing these literally everyday as they're so comfortable yet make an outfit a bit more smart which makes them perfect for me as I've just started a new job so they mean I can be smart and comfortable at the same time. Another edition is this, T-Shirt Policy T-Shirt*. I'm not usually a fan of slogan t-shirts but I thought I'd try styling this one up as the block colours and lettering can work with a casual look. I really like how this top looks up against the denim of this Forever 21 jacket. 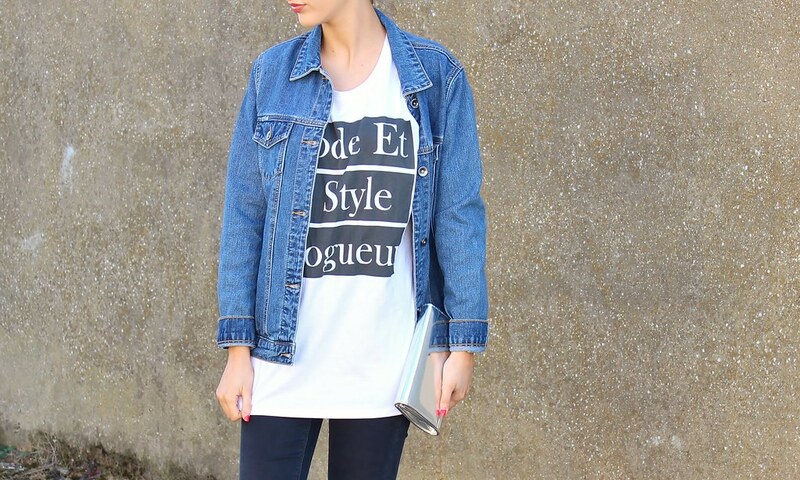 Denim jackets are the one for Spring, love this one! Looks vintage yet didn't break the bank. Finally are my favourite sunglasses for the Summer. These reflective lense New Look beauties. I think reflective lenses on sunglasses look so cool and they also mean you can spy on people without them knowing which is always a bonus!